Show your SOLIDARITY with a WV Mine Wars Museum Membership! What comes with a Mine Wars Membership? 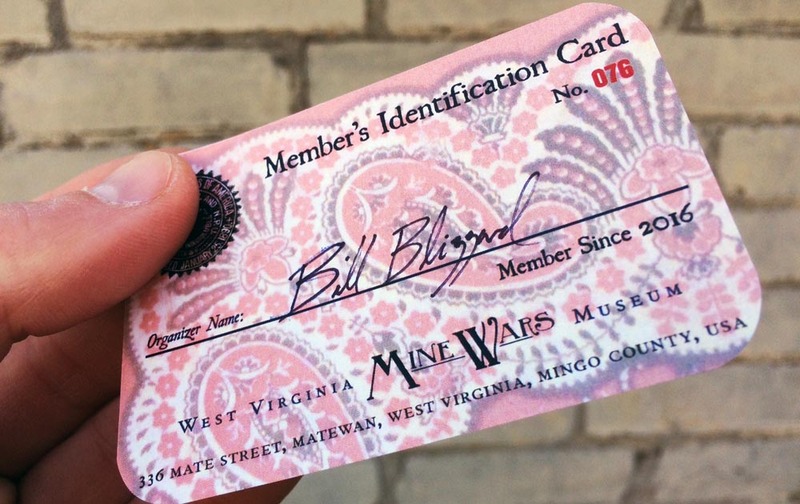 Sign up for Your Mine Wars Museum Membership Here! Want to mail in a membership form instead of signing up online? Simply open and print this form. You'll find all the instructions you need there. Need to update your membership or credit card information? Follow this link or email our Coordinator at kenzieknew@gmail.com. Just three years ago--with no funds and no staff--a young West Virginia Mine Wars Museum team came together with a shared vision. We believed that we could build a Museum in historic Matewan, West Virginia, that would tell the hidden story of a conflict so great and so important that it changed the shape of labor relations in our nation for the next century to come. Today, with the backing of more than 190 members, with the support of UMWA Local 1440 and countless partners across the state, and with a dedicated volunteer team leading the way, the West Virginia Mine Wars Museum is not only a reality, but a unique, critical institution that dares to tell the history of the coalfields of southern West Virginia. we welcomed more than 2,000 visitors through our doors, from school groups, churches, volunteer organizations and bus tours. Visitors have come from as near by as Matewan's main street to as far away as China. we teamed up with Producer Maggie Renzi, Director John Sayles, and the West Virginia Humanities Council to host a blow out MATEWAN 30th Anniversary Film Screening event. More than 500 people joined us for the day, packing South Charleston's La Belle Theatre, twice! we partnered with Morgantown's Watts Museum to host a Mother Jones Birthday party last May Day, bringing families and female miners through our doorway. we began to build new exhibit features that honor the contributions of black miners who provided leadership to early UMWA organizing drives and the skirmishes of the Mine Wars. we shared Mine Wars history and museum how-tos at gatherings around the region including the West Virginia Association of Museums and the Appalachian Studies Association conferences. we received recognition and support from the National Endowment for the Humanities through the award of a "Creating Humanities Communities" grant, for the planning of our 2021 Blair Centennial Celebration. Our nation is in a time of great upheaval. Our families, our communities, our states and our country are experiencing ongoing conflicts about who our country is for and what it will become. The state of West Virginia--its miners, coal bosses, officials and families--were in conflict over how our nation would answer these same questions a century ago. The West Virginia Mine Wars have lessons for us today about how the cards get stacked against working people and about what is possible when people band together across difference to stand up for their rights as citizens, as workers and as people. Today, you can be a part of it. In 2018, Mine Wars Museum members made possible the final drafts of our 4th, 8th, and 11th grade West Virginia schools curriculum, the first wave of organizing for the Blair Centennial Celebration, the creation of the next Mine Wars Journal, In These Hills, and the engagement of more 2,000 visitors to the town of Matewan. Get your WV Mine Wars Membership and help to ensure that the story of these West Virginians is honored and learned from for decades to come.